Life is hard much of the time, but God is good all the time, and all the time, God is good! Each piece was designed with a delicate floral motif and comes with the ever popular greeting and response on front and back. 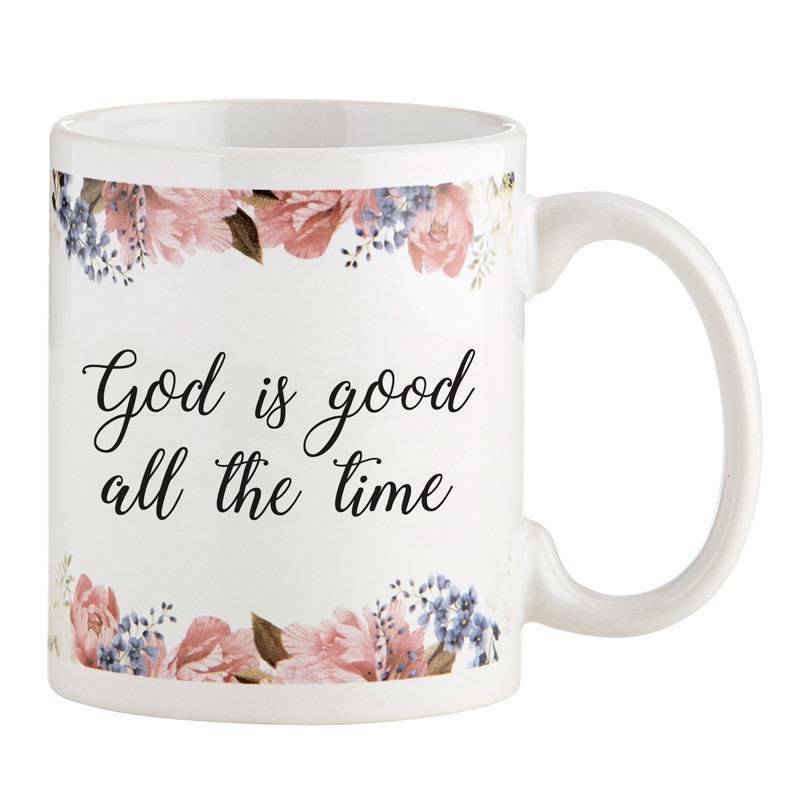 These value-priced gifts can be encouraging reminders of God's unchanging love. Each mug features the words "God is good all the time" on one side, and "All the time God is good" on the other. Microwave and top-rack dishwasher safe.